Finance is as fundamental to the IT world as it is to most other aspects of life. However, many IT professionals lack knowledge of the particular financial principles on which decisions about IT should be based. Assuming no prior knowledge, this new edition covers all relevant aspects of finance and is updated with International Financial Reporting Standards (IFRS) terminology. It is ideal for all IT decision makers who wish to conquer their fear of finance or refresh existing knowledge. Michael Blackstaff is a chartered accountant with over thirty years' finance and marketing experience in the IT industry. He has worked as a financial marketing specialist with IBM, teaching salespeople the finance of selling and advising customers on finance and accounting for IT. He writes and teaches on finance for non-financial professionals. 4 When is a benefit not a benefit? It is written in plain language and contains many practical examples. This is a practical, readable and enjoyable guide to the financial factors that IT decision makers should consider when making an investment and how these relate to business operations. 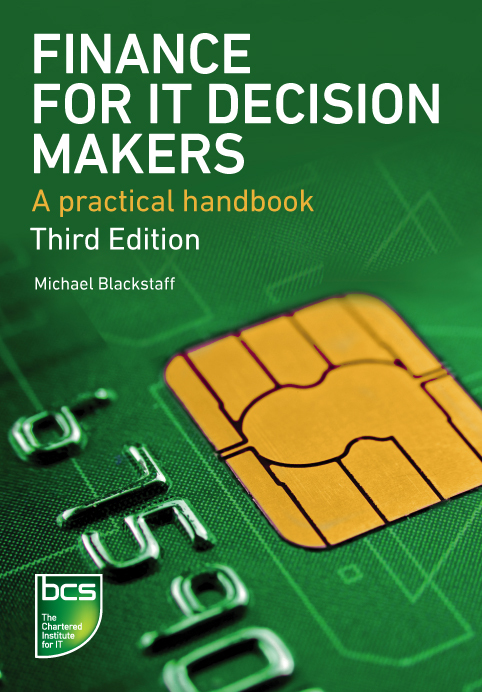 This book bridges the gap between the IT professional and the accountant, demystifying finance for those involved in making decisions about IT. [...] an easy-to-read guide to finance for any IT professional involved or interested in financially justifying IT.